The tension in the car was unbearable. Rod Ellingworth and Brian Holm, two of the biggest influences on Mark Cavendish, were in a Great Britain team car behind the race. The organisers stopped the team cars about two kilometres from the finish line and both men, and the Team Sky and Great Britain mechanic Diego Costa, had their eyes fixed on the television screen on the dashboard. Everything had gone so perfectly to plan. Now it was up to Cavendish to finish off the job. When the little figure in the red, white and blue skinsuit crossed the line and put his arms up, Ellingworth, who has coached Cavendish since he joined the British Cycling Academy in late-2003, and Holm, who has managed him at his professional team since 2007, began celebrating. Britain’s 46-year wait for a men’s road race world champion was over. And they made it look simple. 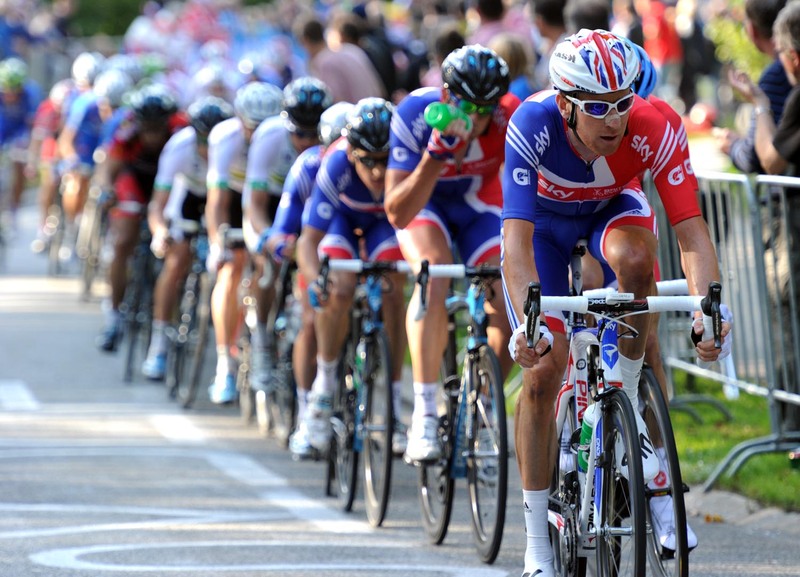 In a 266-kilometre race anything can happen, but Great Britain were cool under fire. Ellingworth accepts that the course made it possible for Great Britain to execute their plan. “We did three laps of it on the Thursday. I was on the motorbike with them and they were travelling at 40 kilometres an hour. Brad said that if we were racing at 46 or 47 all the time, you’d have to be doing 49kph to get away and stay away. “But you still have to do it. The Belgians tried to scare us by putting Jurgen Van Summeren up the road but no one panicked. “All you are wondering is whether they will have the legs to see it through. In the end, we had men to spare. If you look at it, really only Chris Froome, Steve Cummings and Jeremy Hunt worked until the last hour. We still had G, Ian Stannard, Dave Millar. The initial plan to get Cavendish into the final corner in third place was changed in the weeks leading up to the race. Cavendish said he wanted to get round the corner in about eighth or 10th and come from a deeper position rather than take it on too early. “If he didn’t have any team-mates left for the last kilometre, so be it,” says Ellingworth. “The job was to get him to that corner in eighth or 10th. Championship preparation looked to have been jeopardised when he pulled out of the Vuelta a España early in the first week because of illness. Perceived wisdom is that you need the Vuelta in your legs to win the rainbow jersey. “There was talk that Mark wasn’t really ill but I couldn’t believe people would think that,” says Ellingworth. “He’s not the sort to say he feels ill if he’s not. He’d had a bad night and felt the heat might make it worse. He did go into the Vuelta deliberately slightly off his form but that was the whole idea. The plan was to chip away and use the Vuelta to get fit.